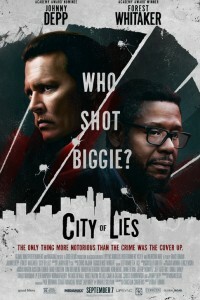 Based on a true story, the movie City of Lies (originally entitled LAbyrinth) is a provocative thriller revealing a never-before-seen look at the infamous murder of The Notorious B.I.G. shortly following the death of Tupac Shakur. L.A.P.D. 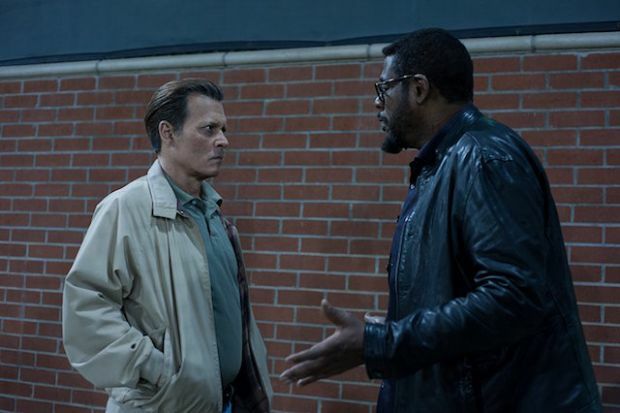 detective Russell Poole (Johnny Depp) has spent years trying to solve his biggest case, but after two decades, the investigation remains open. “Jack” Jackson (Forest Whitaker), a reporter desperate to save his reputation and career, is determined to find out why. In search of the truth, the two team up and unravel a growing web of institutional corruption and lies. Relentless in their hunt, these two determined men threaten to uncover the conspiracy and crack the foundation of the L.A.P.D. and an entire city. Based on the nonfiction book LAbyrinth, written by Randall Sullivan. The film’s distributor, Global Road Entertainment, went bankrupt, so stay tuned for details such as who picks up the film, if anyone. Our bet is on Netflix. In the movie LAbyrinth, the murders of Tupac Shakur and Notorious BIG spark an investigation. .